Good morning and Happy Wednesday to all of you crafters out there! This is Kim with Fantastical Menagerie. As your Wednesday blogger, it has been a joy to write for you, and I hope you’ve gotten some inspiration and great ideas. I’m going to be taking a break from blogging, as my schedule with shows has been a bit hectic. Next week there will be a new face and voice here for Wednesday. 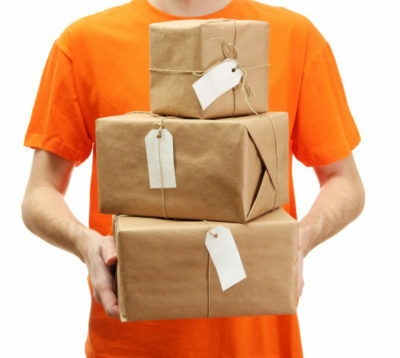 Till next wendesday, get your craft on! Happy Wednesday! This is Kim with Fantastical Menagerie. 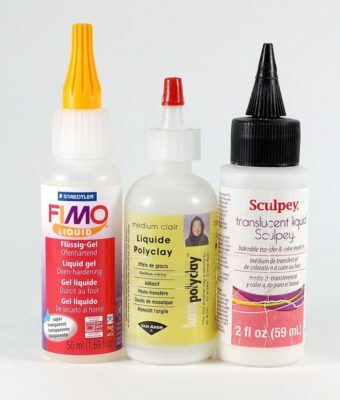 For those of you that use polymer clay, have you ever thought about making your own version? 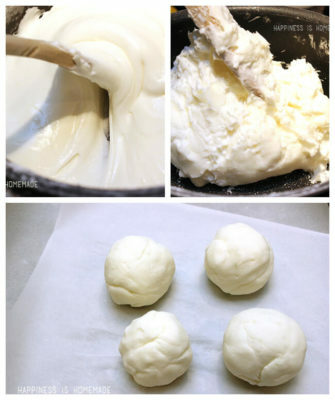 I have researched and tried out several different recipes. I don’t recommend any salt based recipes, as they can be extremely poisonous to pets. 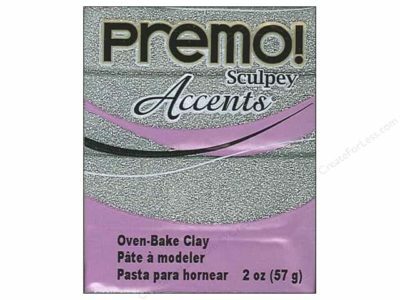 Most of the ones out there are air dry clays, can be tinted with food dyes, or painted after dry. The one below is a baked recipe. Mix all of the ingredients in a saucepan and stir while heating over medium heat. It will start to thicken. Take it off of the heat and let it cool. 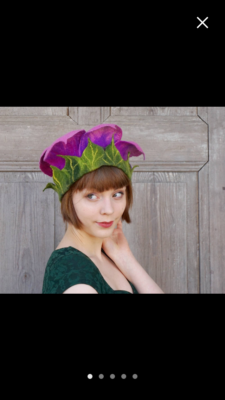 At this point, you can pull off small pieces and color with food coloring. 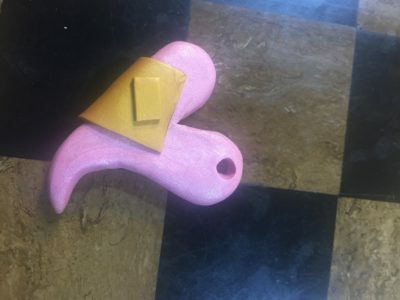 You can also wait until its baked to paint it. 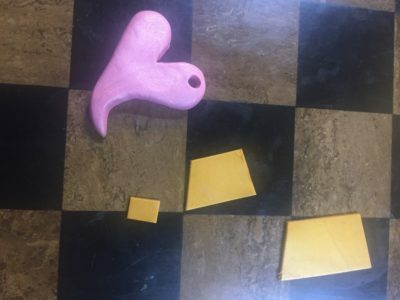 Form pieces into desired shapes. Bake at 250°F for 15-20 minutes. 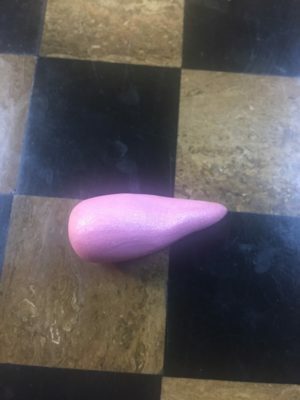 This is not an air dry clay. 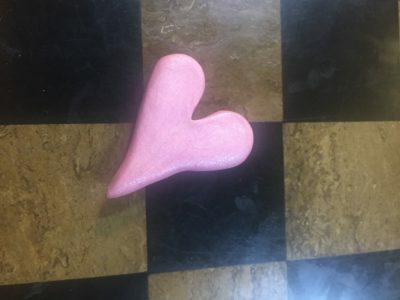 This recipe is a great idea, especially if you have kids that want to try polymer clay out, and you may not want them working with the chemicals. Have you tried it? Let us know how it works! Happy Wednesday! 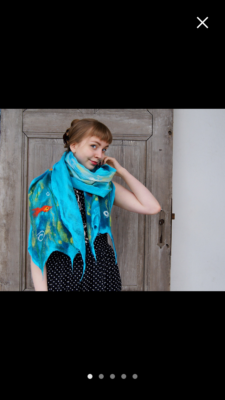 This is Kim, with Fantastical Menagerie. I live in the South, where fall is very definitely not in full swing yet- today its so humid that pea soup comes to mind. However, it is October, pumpkin spice and apple cider are everywhere, so its time for me to get with it! There are some great pumpkin themed items on Etsy right now. 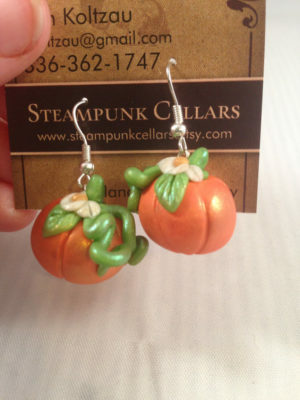 I have a set of pumpkin earrings and a pendant available here. They are available as traditional pumpkins, or as glow in the dark pumpkins. 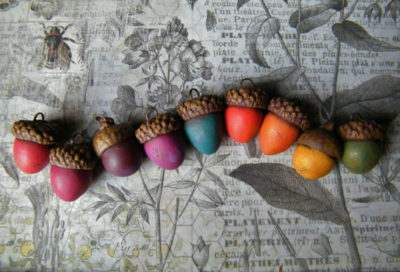 I saw these adorable acorns- they are clay, and could be used as pendants, keychains, or even added to a fascinator! 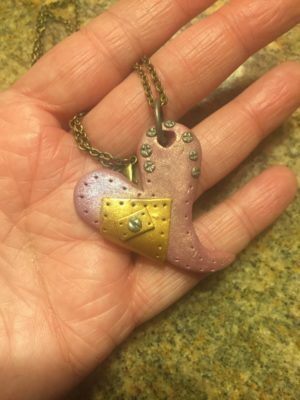 You can find them in Sweet Birch Designs Shop here. 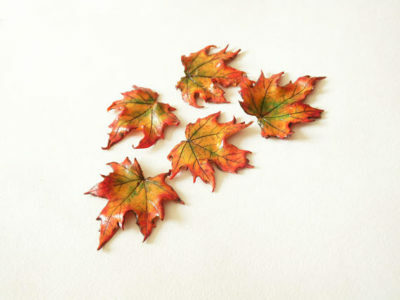 Selena Jewelry Bijoux has these amazing leaves, so perfect for this time of year. 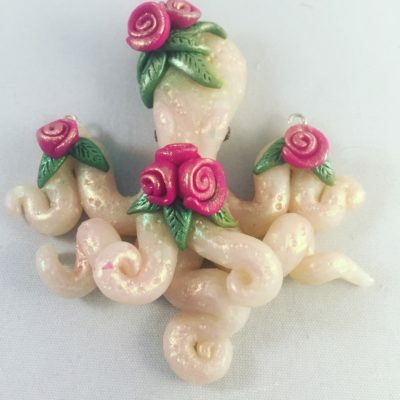 As a pendant, or added to a wreath, they are breathtaking and reasonably priced. I am always a fan of clay food, and I adore pumpkin pie! 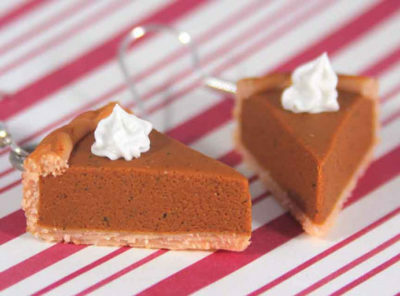 CMYKlays has some adorable pumpkin pie earrings. 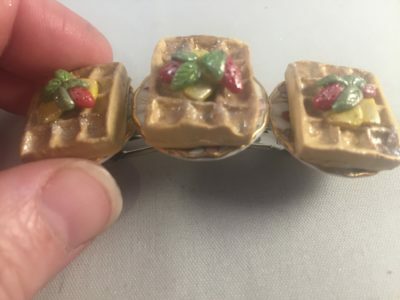 They are fun, and look entirely edible. If you are feeling crafty, I do have a pumpkin tutorial that was published here on Crafthackers last year. 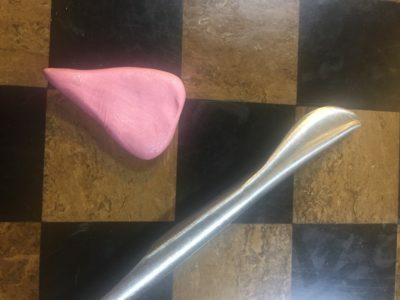 Its simple, and takes under an hour from start to finish. It can be found here. Happy Wednesday! This is Kim with Fantastical Menagerie. Fall is in the air here- I can smell it! While it doesn’t get as cold this early in the season here, I still love fall. Pumpkin spice everything, leaves changing, sweaters and crisp evenings. I have been searching Etsy, and these are some of the things that reflect my love of the changing leaves. 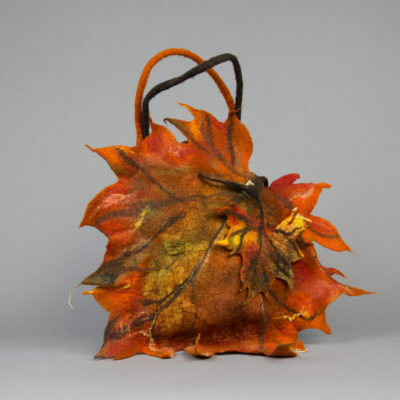 This leaf handbag is the perfect blend of autumn tones. LA Boutique Art has this gorgeous felted bag. The colors are vibrant and the bag looks soft and cozy. 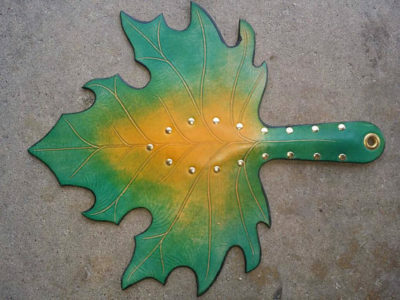 The Leather Fan Shop on etsy has gorgeous, brightly colored fans in multiple shapes, including fall leaves. They can do custom fans as well. These can be hung on your belt, or carried to your favorite Renn Faire or ComicCon. 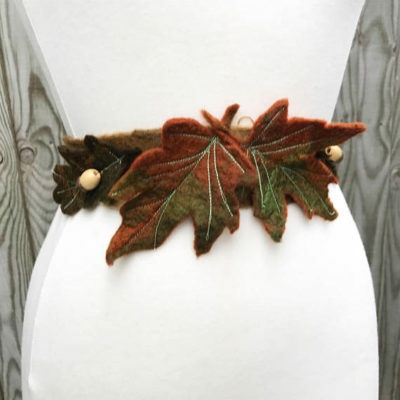 Folk Owl has some amazing felted leaf belts. These would be great with a gorgeous skirt or a maxi dress. I love the colors, the texture. 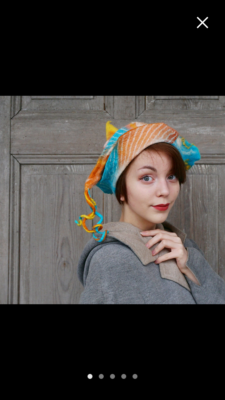 It can also be a headband or tied around a leather top hat. 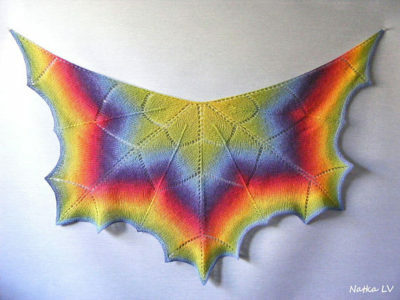 This Leaf Shawl is amazing. 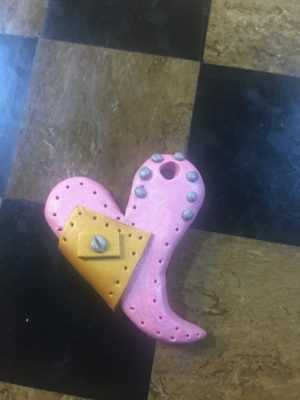 the work, the colors and the shape is really pretty. 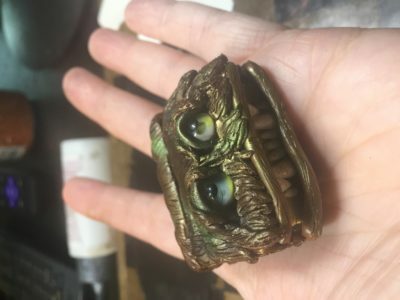 NatKaLV on Etsy has some lovely things. What makes you think of fall? Let me know! It’s Wednesday again, and I’m on my third event in a row. This weekend I will be at Boston ComicCon, in Booth 514. We are traveling today, which for us is a twelve hour drive. We look at travel as an opportunity to see things we rarely have time for. Little attractions, museums, diners and local foods. Our goal for Boston, besides the show, is some historical site seeing and possibly a whale watching tour. Boston ComicCon is this weekend, Friday through Sunday at the Boston Convention Center. There are a lot of great guests this year, and an amazing vending and artist alley. I’ll be with New World Collectibles in booth 514, and sculpting live during the show! If you are in the area, come on out and see us!